RPC M&H Plastics has been supplying quality healthcare packaging to some of the most respected brands across the world for over 40 years. We recognise that functionality and safety are key factors in this sector and have a range of products which include tamper-evident and child-resistant closures. Antimicrobial products, bottles and labels are also available. 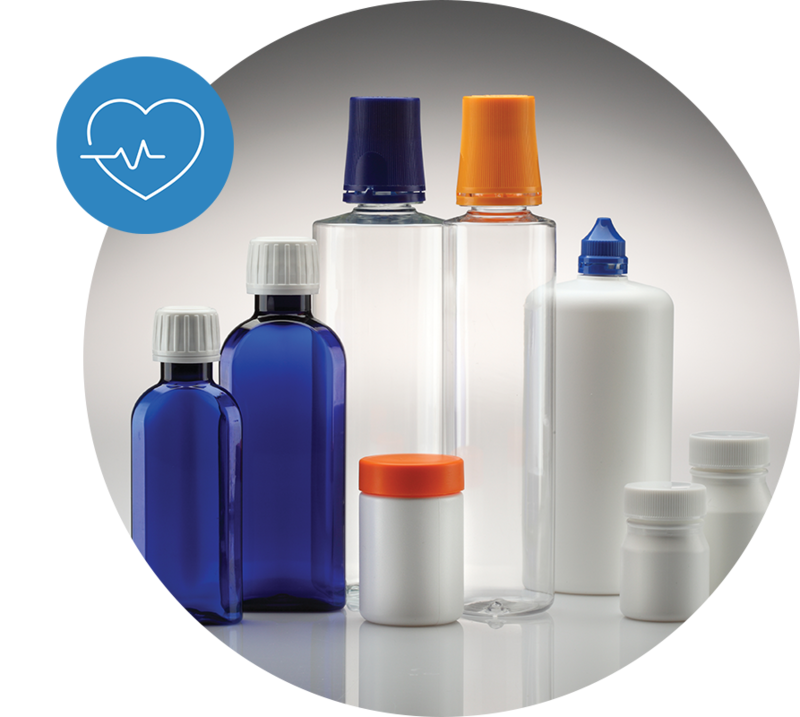 We have over 400 packaging products and complementary closures designed specifically for the healthcare market, providing solutions for Solid Dose, Liquid Dose, Creams, Gels and Ointments, Hygiene and Sanitiser Products, Powders and Granulate products. Our team of experienced technical and commercial experts offer a comprehensive project management service to enable clients to develop exclusive designs either using existing standards or a complete custom range. Our extensive experience in the healthcare market ensures that your specific requirements will be met, whatever your needs. Containing our latest packaging recommendations for the healthcare market sector. Click to download your version today. You must be logged in to your M&H account to view our literature.